StreetPass is a feature that is built into the Nintendo 3DS hardware. When the console is in sleep mode, the system will send out data for games with it activated, and receive data, automatically without you and the other player having to actually connect. Previously, this was only used for collecting PokéMiles in X & Y, but Pokémon Omega Ruby & Alpha Sapphire takes it to a whole new level with multiple features. When you StreetPass someone, or Pass By when you have the PSS on either locally or online, you will send data out to various players. This information will be shared and allow players to access a variety of things. If you are StreetPassing, the game can only store 30 new players worth of information at any one time. 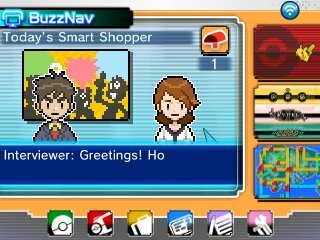 To activate StreetPass and the Passing By features, you just need to activate it in the BuzzNav when you receive it from Mr. Stone in Rustboro City. From then on, you will receive a variety of data whenever you StreetPass someone or Pass By someone locally or online. This can only be done once every eight hours or so, so you will only receive data for other players then and will need to wait for more. When you have passed by someone, you will see a mail box on the BuzzNav Icon. Click it and then click the mailbox and it will activate all the features you have obtained, and tell you how many people you have passed by. The most mundane of the features is the BuzzNav news. When you pass by other players, it will transfer the data they have compiled to you. 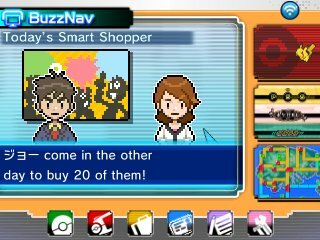 This data ranges from items you have bought, Pokémon you have caught, TMs you have used and so forth and will appear in the various shows that are in BuzzNav. The most notable feature of this is the ability to receive Mirage Spots that people have discovered while soaring. 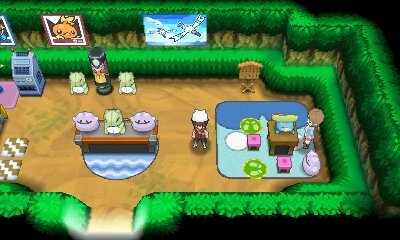 For each player, their original spot changes each day but through StreetPass and Passby on the PSS, you can augment this and have many other islands appear. 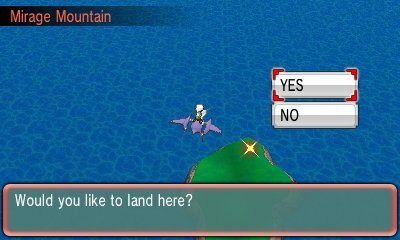 There are over 30 of these islands, separated into five categories: Mirage Island, Mirage Forest, Mirage Cave, Mirage Mountain & Crescent Isle, and the different variants of each have different wild Pokémon and different items. However, there is a drawback. 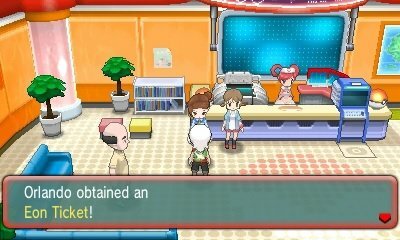 While you can get the Pokémon and main items that are on these islands, if you receive the islands through Passing By other trainers, you will not have access to any items found by the Dowsing Machine. They only appear on the Mirage Spots indigenous to your game each day.